Sometimes, an email gets buried in your client's inbox. Sometimes, you want to check in, but you're just... well, really busy. In the case of this familiar scene, HoneyBook's automated email actions may help ease the struggle. HoneyBook Tip: Looking to automate responses to your Contact Form? Check out how with Workflows! 5. 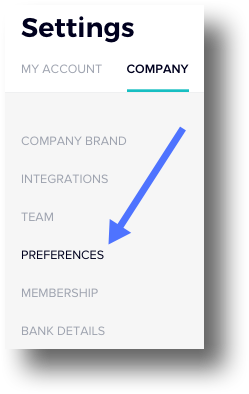 Use the radio buttons to toggle the actions on or off. 6. When an action is turned on (except for payment reminders), you can customize it further by clicking on the pencil icon. 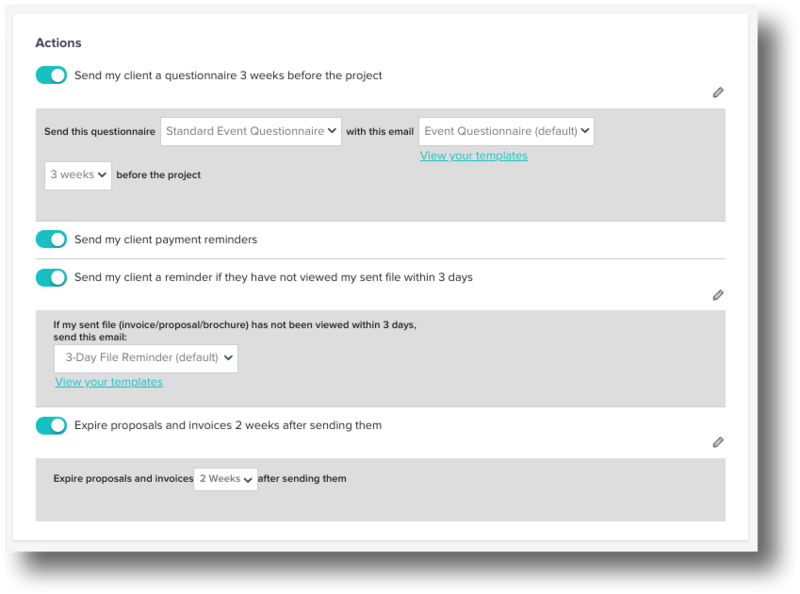 Customize things like the Template to send and the timing of the email. Remember, you can always head back to the Actions section to turn these emails off.